Ah, there’s really nothing like chasing away the post-holiday blues with a tiny spot of retail therapy, now is there? With my bank account quivering in fear and himself loudly protesting, off we set for Kildare Village last weekend. I’ve been exactly once before when I stocked up on Kenneth Turner candles and Myla lingerie (that shop is sadly gone now, but – silver lining! – has been replaced by Anya Hindmarch, more of which anon). We found it much easier to get to on this occasion – owning a car probably has a lot to do with that – and we flew out in 45 minutes on the N7. It’s an outlet centre, but put all thoughts of TK Maxx firmly from your mind. This is an entirely different experience: relaxed, picturesque, and with brilliant bargains that don’t have to be fought over or hunted out from the dross. There was plenty here I wanted to take home with me, and with 30 to 70% off all brands there are some serious savings to be found. I could have spent hours in Coast and Anya Hindmarch alone; there were rows upon rows of beautiful dresses and handbags that it pained me to leave behind. 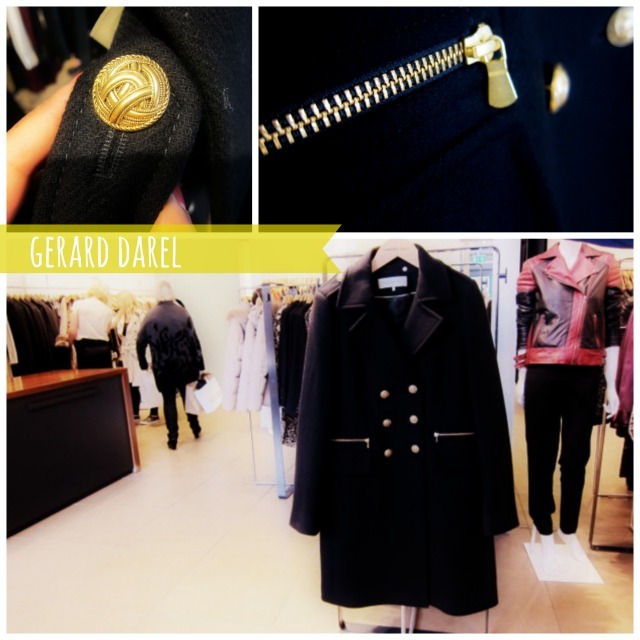 My new coat - €430 reduced to €230! But I’d blown my budget in about three minutes flat - on a woolen winter coat (Gerard Darel is not just for mammies you know), this skirt from Hobbs, a gift from Anya Hindmarch… and replenishing my Kenneth Turner stash. His Blue Tangerine scent is addictive. 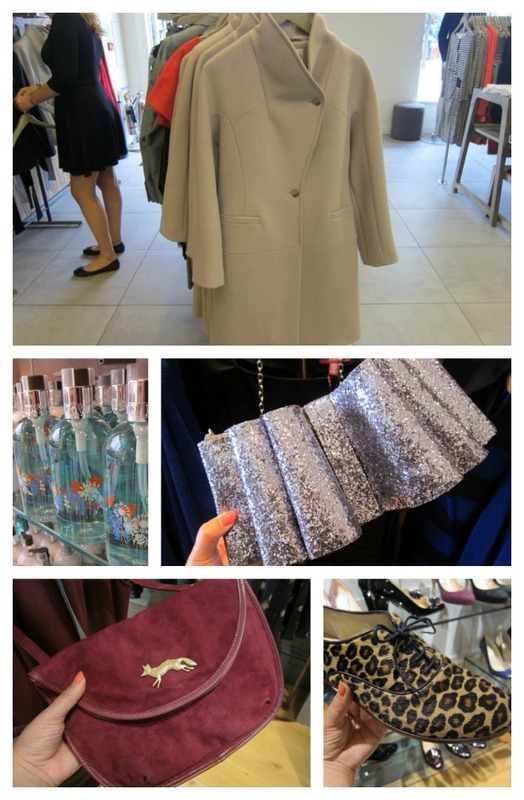 Were money no object, this achingly on-trend pale pink Reiss coat (€458 reduced to €225 ), silver glitter bow bag from Ted Baker (€100 reduced to €63), Hobbs birch bag (€155 to €95) and leopard print shoes (€215 to €120) would also be adorning my person. Great savings too in Molton Brown, where hand washes and lotions were €25.34 a pair, and two bath/body washes/body lotions €29.34. Some serious gifting potential right there. As for himself and his protests, they were soon quieted by the volume of choice in shops like Brooks Brothers, Ralph Lauren and Nike – two of those bags in the first photo are actually his. So yes, plenty to keep the menfolks amused, not to mention a Starbucks and Dunne and Crescenzi's too. Kildare Village is one of nine designer outlet centres in Europe – the others include Bicester Village in London and La Roca Village in Barcelona. Have you paid any of them a visit, or would you like to? I love the woolen coat, it looks so thick and warm! This looks like a great designer outlet with some killer brands! Adore the coat you've bought! it sounds like a great place! wouldn't it be great to shop as if money were no object?? 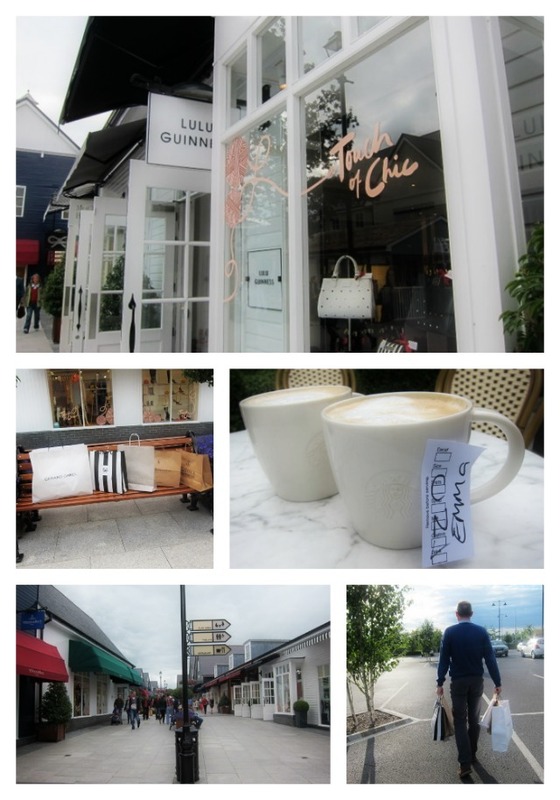 Love Kildare Village, I live about 15-20 mins away. Some days you can get fantastic bargains and other days the stock just isn't great. It all depends on what stock comes in. That said I can/have spent fortune there. It may be the reason I can never afford my own home. It great for birthday/annniversary/wedding presents shopping. Oh that would be a dangerous place for me! Mum and I would love to go there when we're over! I might pick up an over-sized handbag! Enjoyed your article. I still have never takena trip to Kildare Village, although I don't know if I'd trust myself, too much temptation!Lovely to see your picks, I think you made very wise investments Emma! I've been but didn't buy a thing. Did you spot the candles in Molton Brown? I remember smelling a gorgeous one called 'Fresh Baking' or 'Freshly Baked' but can't remember the brand at all! Oh my goodness I'd love to visit this place! 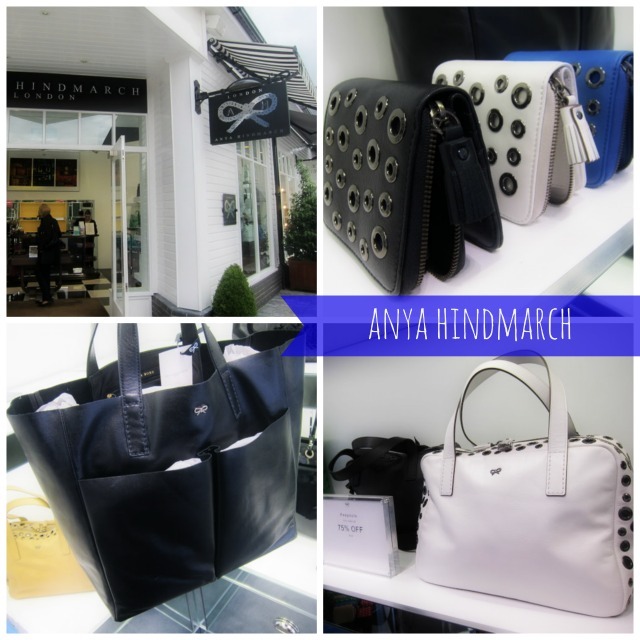 An Anya Hindmarch outlet!! That simple black tote is so nice!